Who is talking about Tourism Currents? We’re keeping a list of testimonials, comments, and feedback in case you want to go check up on us…. 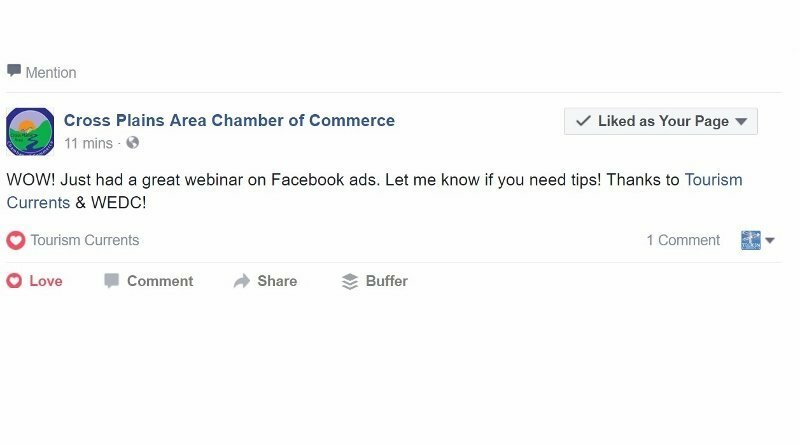 ** We worked with a Chamber of Commerce to increase the social media-savvy of an entire town and surrounding county – find out about our kickoff workshop in Webster City, Iowa, in Getting Social in Webster City from the Daily Freeman – Journal. “Since taking the course I feel much more confident in telling my clients that if they are going to ‘do tourism’ they must do social media. While I would never present myself as an expert, the course has made me understand the universe of social media, to talk about why it is critical in tourism marketing (to make it clear that social media is not ‘the wave of the future, it is now!’) and to craft strategies for tourism marketing that include social media. I appreciate so much your willingness to let me pop an email to you with questions….and to continue providing great insights through your Facebook postings and webinars. “To help her spin Faro into a dynamic community, one which celebrates the arts and other endeavors, Ward looked south of the border and found a website called Tourism Currents. It specializes in revitalizing small towns, with social media applications. ‘It’s basically a whole crash course on social media for small business and for tourism,’ said Ward. She says the course is paying off. “You won’t get fluff or puffery from them…you will get real world examples, real world metrics and real world war stories. And when I say real world…I mean from your world. Best of all — they teach you how to fish. This isn’t theory… this is ‘get your hands dirty’ learning. 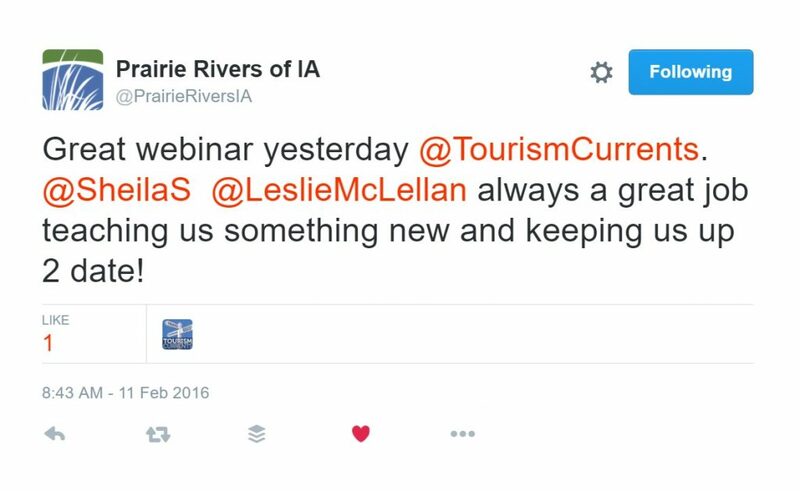 Is the Tourism Currents Social Media Training Right for You? “I talk to rural tourism business owners, small town redevelopment folks and rural chambers of commerce regularly, and for them (you) the internet is a blessing and curse. You understand how important it is to your town and your business. You are trying your best to carve out a little time to learn about it and do something to add it to your marketing mix. You’re often confused about what is the best way to approach social media. “For starters I’ve know the founders of Tourism Currents, Becky McCray and Sheila Scarborough both for years now. Not only did I meet them at the first SOBCon, a conference I helped found back in 2008. But even beyond meeting them in person, I was on a mastermind call with both of them for the better part of a year. “The folks over at Tourism Currents, Becky McCray (@BeckyMcCray) and Sheila Scarborough (@SheilaS) are about to open up an encore round of online workshops and full-curriculum courses that can show you how it all works and how to MASTER social media for your organization. Learn how to tap into the increasing number of people who use social media for travel, and how to promote your destination, venues, hotels, attractions and events in new ways.